Black or White? When you can’t decide why not wear both! 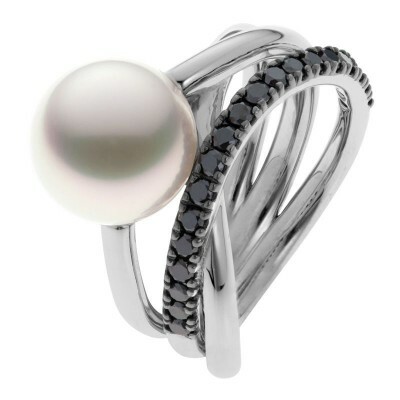 Our stunning Dream Dancer ring has been crafted to feature both white and black diamonds either side a lustrous South Sea pearl. 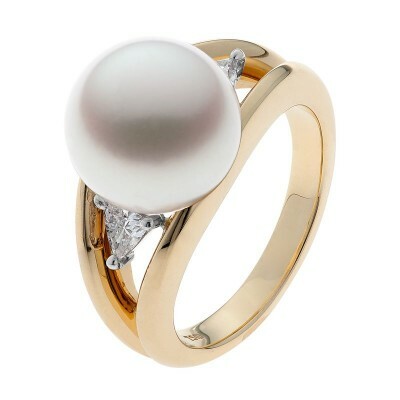 The band creates the illusion of a wide ring and allows for the pearl to sit nestled between each diamond set band. Dimensions: Widest point is 14.7mm, tapering to 3.3mm at the back.